As technology blurs the distinctions between physical and online retail, retailers will need to rethink their competitive strategies. We chat with Thomas Battle at Nobal who are enabling retailers to bridge the gap between offline and online through their iMirror technology. Talk to us about your latest venture and what excites you about it. Right now retail is undergoing a revolution where the definition of shopping is being re-defined. Is the future of retail entirely digital? Does brick-and-mortar still excite shoppers enough to bring them into stores? Will a combination of e-commerce and physical sales drive customers to purchase more? We believe that the future of retail is experiential shopping that combines the best features of e-commerce with the best of a brick-and-mortar store. Customers will come to a store to partake in an experience and just happen to buy a fully customized product which will be sent to their home via drone. Experiences will range from workouts to educational workshops to community meetups during which customers will be surrounded by a tailored brand, community and set of products that shoppers will engage with on an emotional level. Shoppers will build outfits that match their personalities and then have it delivered directly to their homes. 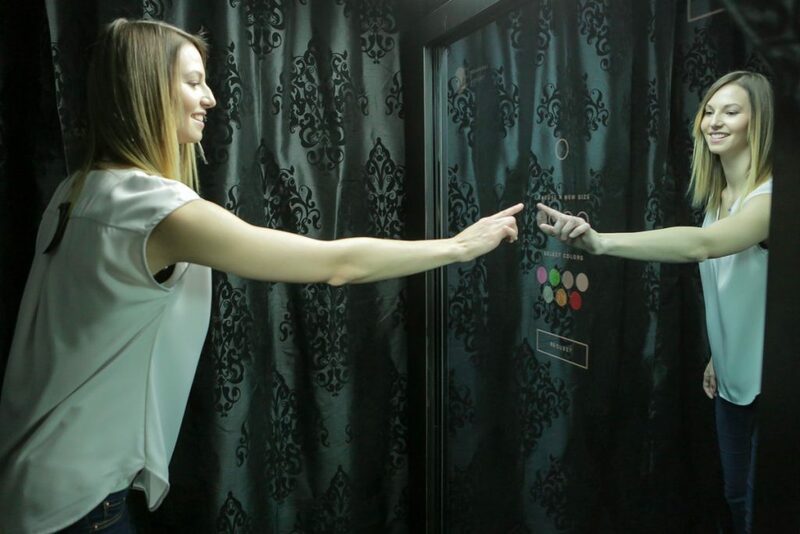 We’ve built the iMirror, the world’s most advanced interactive mirror, to be the digital interface that facilitates the experiences delivered by these stores. 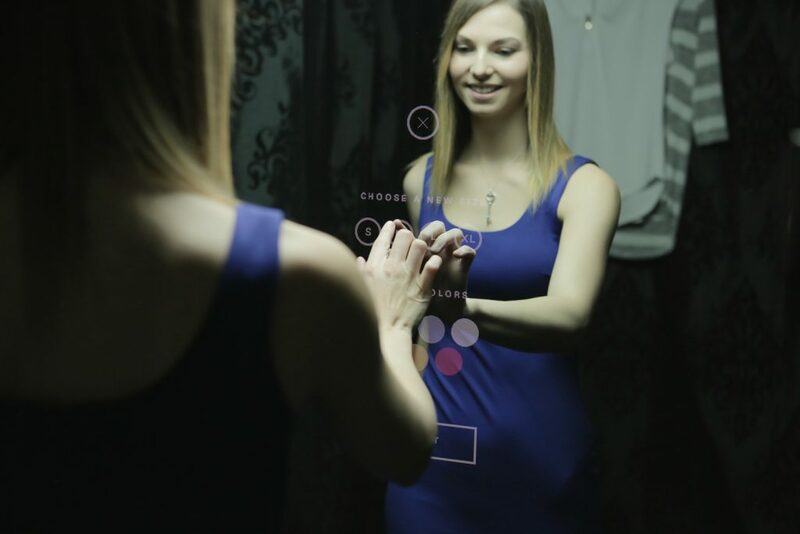 The iMirror brings every mirror in the store to life and allows brands to engage their customers with an intuitive digital experience. 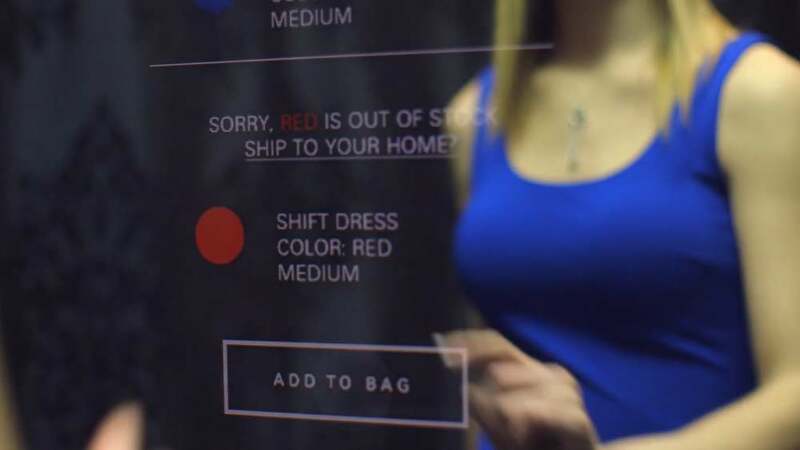 Our flagship experience, the digital fitting room, is already allowing customers to get product recommendations, order out of stock inventory, and communicate with sales associates in real time anywhere in the store. Re-imagining and re-inventing an industry with major retail thought leaders, and building products that change the way we interact with the physical and the digital worlds is incredibly exciting. Nobal’s iMirror bring online commerce into the physical store. What do you see as the biggest challenges in retail these days? The biggest challenge in retail is creating those unique in-store experiences. A production that draws in people not just to shop, but to learn, interact and enjoy. Right now every store needs to look at themselves and ask “Is coming into my store a fun or amazing enough experience that I overcome the convenience of buying products online?” Creating these experiences is hard and the companies exploring this space are exploring a new frontier of opportunities. That being said, for the first companies to discover how to do this right, there is a lot of long-term upsides. What are the most important trends that you see and how do you see retail changing in the next 5 years? Combining physical and digital sales channels into truly omnichannel experiences is probably the most important trend currently in retail. Most companies have siloed their online and brick-and-mortar experiences and they don’t talk to each other. Each sales channel has their own value and issues, by combining the best features of both, you create an environment in which your customers have a much better experience in your stores. What makes a great omnichannel experience? Are there any companies that you think are nailing it in this space? Great omnichannel strategies are ones that seamlessly integrate the technology into the environment around you. Technologies like tablets are at a huge disadvantage because they take you out of the shopping experience. Companies like Perch are doing a great job of this seamless omnichannel integration in places like Sephora, (and us of course!). Perch in collaboration with Nike – reimagining the retail store experience based on merging the Physical + Digital. What is one habit of yours that makes you more productive as a business leader? Task prioritization is one of the hardest things in the world to do and (at the same time) one of the most valuable things to get right. For me, I work through living To Do lists that keep me on track at a macro and micro level throughout the day. What is the one book that you recommend our audience should read and why? The Up Side of Down is one of my favourite books. As a startup, it is key to celebrate and embrace failure. Failure is how we learn and grow as human beings. Once we start fearing failure, we become stagnant and cease to grow. What is the one piece of advice that you would give to business leaders looking to incorporate innovation into their strategy? What’s the best way to make that happen? Right now, no one knows what the store of the future is going to look like. In 15 years, it is going to seem like the most obvious thing in the world as to what experiences become omnipresent in retail. The market is ultimately going to decide what works and what does not. Companies that take risks, test and iterate on as many innovations as possible will be in a much better position to take advantage of the huge upside that comes from being the first to market with a new breed of the shopping experience. The only other option is to risk going the way of Sears and Toys R Us. How Retailers Can Leverage Innovation and A.I. © 2019 by Intelistyle Ltd, registered in England and Wales. Kemp House, 160 City Road, London, EC1V 2NX, United Kingdom. Company Number 10586920.